Over the last two months, I have been travelling around the country, doing talks (as part of my job) - hence the long silence in blog postings. But, visiting towns which you would not normally go to for a holiday, has been an enriching experience, as you get to meet the locals and also assess for yourself, what is happening on the ground. This time, the roadshows have taken me to places like Taiping, Kuala Selangor, Ipoh, Miri, to name a few. 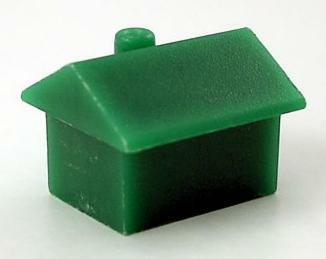 - Property prices are rising almost everywhere. Most people I talked to would acknowledge it if you asked them if their property has gone up in price. A small shophouse in K. Selangor is now selling for 600k (vs. 400k when first launched 1.5 yrs ago); and there is now a Tesco and also a 24hrs drive-thru McDonald's in K Selangor! Speaking to a developer in Ipoh, she also said the same thing - the shop houses she sold are now 50% higher. What is this attributed to? Well I suppose a lot has to do with input prices increasing (steel, cement, petrol, etc have gone up) but I guess it has to do with the rising affluent in smaller towns. Most of those involved in commodity related trades like palm oil,swiflet farming, fisheries have made tons of money in the last few years. And, where else to invest if not in physical assets like houses, and shops? some even tend to buy outside their own hometowns like in Bdr Utama or Puchong - for their kids when they study in KL? - Secondly, a lot of the buyers for residential properties especially condos, tend to be Malaysians working overseas. Those that work in HK or Singapore have higher purchasing power due to the higher wages and more favorable exchange rates. And as a result, they like to buy a place for themselves to retire to, in addition to buying one for their parents to live in. So, condos and also house prices tend to get pushed up by the strong demand from this segment. The talent drain has its downside but the upside is the repatriation of money back from these MOFW (Malaysian overseas foreign workers). Incidentally, the term OFWs is used in the Philippines. Over there, they are a powerful lot - there are around 8-10mil workers worldwide, that remitted around $19bn in remittances (2009) to their country and is the largest contributor to its GDP! In addition to this, of course, is the higher spending on properties. It looks like Malaysia is no different in that sense. - the last observation is probably quite obvious - residential properties here have very low yield. We are looking for a place (condo) to rent now and its amazing how many of them are empty or recently vacated. It appears that even the Japanese expats are now a rare lot; the Tokyo quake has caused some disruption to a few industries for example, auto, and a large number of executives have been recalled back to HQ. So, that has affected the rental market here too. The European expats are now lower in numbers after the 2008 financial crisis, and that hasn't helped. But the surprising thing is that - developers are still building! and the prices are astronomical. Take a drive round Mt Kiara at night and KLCC and count the number of units with light on - you will be surprised. Well, maybe "its different this time" or in "Malaysia, property prices don't fall"? Let's hope so.